AMS is a particle detector for the International Space Station. A group of high-energy physicists are taking their experimental expertise - acquired in thirty years of experience at particle accelerators - into orbit. Space is full of high-energy particles of many types (collectively called "cosmic rays"), many of them originating in supernova explosions in distant galaxies. AMS detects them using a huge superconducting magnet and six highly specialized, ultra-precise detectors. It will sit on the ISS main truss - far above the obscuring atmosphere, and making full use of the ISS's irreplaceable support systems - and gather data for three years. 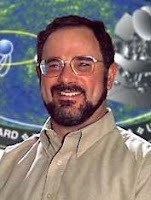 Beyond the experiment itself, the standoff represents a clash between two of the more strong-willed and brilliant leaders of Big Science in America: Dr. Ting of the Massachusetts Institute of Technology, who is known for his autocratic management style and obsession with detail, and Michael D. Griffin, the NASA administrator, who has shown himself willing to make tough calls in reshaping the space program away from the shuttle and toward the Moon and Mars. NASA agreed in 1995 to carry the Alpha Magnetic Spectrometer to the space station. But now the agency says its remaining shuttle flights are booked. I have a thought to be considered here, that might spark some ideas about what happened to AMS. The question to my mind was whether this was more then political or money issue? Think of Dennis Overbye's article of 2007, in face of the current article presented of his. I thought along the way that this issue was resolved in regards to strangelets, and would had been "the issue" that solved allowed this to languish. But maybe there is more? Also think about what can be thought here as Gerardus t" Hooft asked as to think about in the limitations of what can be thought in relation to computerizations. There is something to be said here about what conscious is not limited too. It is by it's very nature "leading perspective" that we would like to have all these variables included in or assertions of what we can see while providing experimental data to the mind set of those same computerization techniques? So we of course like to see the mind's ingenuity( computerized or otherwise) when it comes to how it shall interpret what is the road to understanding that gravity is seen in Relativities explanation. It is a process by which the world of blackholes come into viewing in it's most "technical means providing the amount of speed and memory" that would allow us to interpret events in the way we have. The information has to be mapped to computational methodology in order for us to know what scientific value scan be enshrined in the descriptions of the Blackhole. Imagine that with current technologies we can never go any further then what we can currently for see given the circumstances of this technology? So on the one hand there is an "realistic version" being mapped according to how we develop the means to visualize of what nature has bestowed upon us in the according to understanding Blackhole's and their Singularities. Part of the advantage of looking at computer animations is knowing that the basis of this vision that is being created, is based on computerized methods and codes, devised, to help us see what Einstein's equations imply. Now that's part of the effort isn't it, when we see the structure of math, may have also embued a Dirac, to see in ways that ony a good imagination may have that is tied to the abstractions of the math, and allows us to enter into "their portal" of the mind. NASA scientists have reached a breakthrough in computer modeling that allows them to simulate what gravitational waves from merging black holes look like. 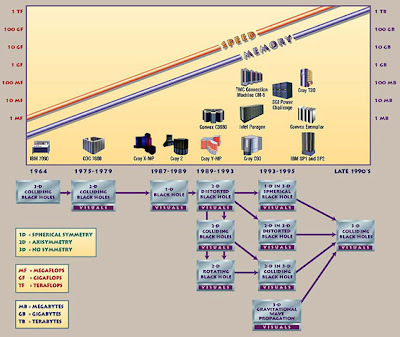 The three-dimensional simulations, the largest astrophysical calculations ever performed on a NASA supercomputer, provide the foundation to explore the universe in an entirely new way. According to Einstein's math, when two massive black holes merge, all of space jiggles like a bowl of Jell-O as gravitational waves race out from the collision at light speed. Now their is a strange set of circumstance here that would leave me to believe, that the area of quantum gravity has lead Numerical Relativity to it's conclusion? Has the technology made itself feasible enough to explore new experimental data that would allow us to further interpret nature in the way it shows itself? What about at the source of the singularity? I would not be fully honest if I did not give you part of the nature of abstract knowledge being imparted to us, if I did not include the "areas of abstractness" to include people who help us draw the dimensional significance to experience in these mathematical ways. It is always good to listen to what they have to say so that we can further developed the understanding of what becomes a deeper recognition of the way nature unfolds of itself. The other reason is just that the complete mapping of E8 is the largest mathematical structure ever mapped out in full detail by human beings. It takes 60 gigabytes to store the map of E8. If you were to write it out on paper in 6-point print (that's really small print), you'd need a piece of paper bigger than the island of Manhattan. This thing is huge. Emphasis and underlined, my addition. Computer Language and Math Joined from Artistic Impressionism? 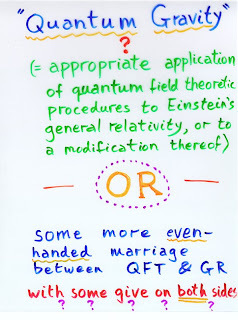 The marriage between computer and math language(Banchoff) I would say would be important from the prospective of displaying imaging, seen in the development of abstract language as used in numerical relativity? Accummalated data gained from LIGO operations. Time variable measures? 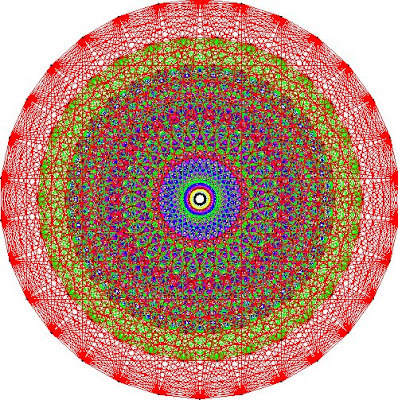 (a past-incomplete null geodesic from scri-plus). The loser will reward the winner with clothing to cover the winner's nakedness. The clothing is to be embroidered with a suitable, truly concessionary message. In general relativity, the cosmic censorship hypothesis (CCH) is a conjecture about the nature of singularities in spacetime. Singularities that arise in the solutions of Einstein's equations are typically hidden within event horizons, and therefore cannot be seen from the rest of spacetime. 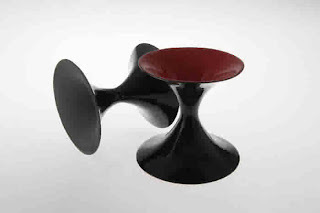 Singularities which are not so hidden are called naked. The weak cosmic censorship hypothesis conjectures that no naked singularities other than the Big Bang singularity exist in the universe. 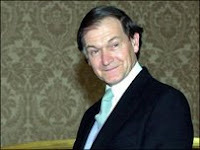 The hypothesis was conceived by Roger Penrose in 1969. 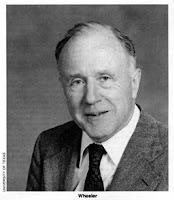 John Archibald Wheeler (born July 9, 1911) is an eminent American theoretical physicist. One of the later collaborators of Albert Einstein, he tried to achieve Einstein's vision of a unified field theory. He is also known as the coiner of the popular name of the well known space phenomenon, the black hole. There is always somebody who is the teacher and from them, their is a progeny. It would not be right not to mention John Archibald Wheeler. Or not to mention some of his students. COSMIC SEARCH: How did you come up with the name "black hole"? John Archibald Wheeler:It was an act of desperation, to force people to believe in it. It was in 1968, at the time of the discussion of whether pulsars were related to neutron stars or to these completely collapsed objects. I wanted a way of emphasizing that these objects were real. Thus, the name "black hole". The Russians used the term frozen star—their point of attention was how it looked from the outside, where the material moves much more slowly until it comes to a horizon. * (*Or critical distance. From inside this distance there is no escape.) But, from the point of view of someone who's on the material itself, falling in, there's nothing special about the horizon. He keeps on going in. There's nothing frozen about what happens to him. So, I felt that that aspect of it needed more emphasis. It is important to me to understand some of the history of the Blackhole, and the students who went on to develop the very ideas around them. To see how they interconnect at one time or another, to provide for the very insights from such gatherings. When an initial pure quantum state undergoes gravitational collapse to form a black hole, the final state at the end of black hole evaporation will always be a pure quantum state. The loser(s) will reward the winner(s) with an encyclopedia of the winner's choice, from which information can be recovered at will. 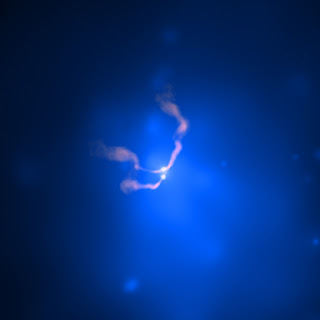 Drawing Credit: XMM-Newton, ESA, NASA-Image sourced from: Pictured above is an artist's illustration of a black hole surrounded by an accretion disk. The black hole Information Paradox results from the combination of quantum mechanics and general relativity. 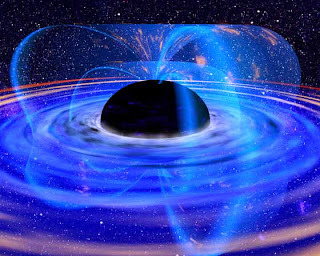 It suggests that physical information could "disappear" in a black hole. It is a contentious subject since it violates a commonly assumed tenet of science—that information cannot be destroyed. If it is true, then cause and effect become unrelated, and nothing science knows, not even our memories, can be trusted. A: According to the orthodox view of quantum mechanics, called the Copenhagen interpretation, a system (represented here by a child’s block) does not occupy a definite state or location until it is measured. Before then it is just a blur of overlapping possibilities. B: The many worlds interpretation insists that the system occupies all its possible states but that every one of them exists in its own alternate universe. Each universe sees one state only, which is why we never observe the block in two states at once. C: In Penrose’s interpretation, gravity holds our reality together. In each potential state, the block generates a separate gravitational field. Over time, the energy required to maintain these multiple fields causes the block to settle into one state only—the one that we observe. See:If an Electron Can Be in Two Places at Once, Why Can't You-by Tim Folger, Photograph by David Berry, Illustrations by Don Foley? "In Penrose’s interpretation, gravity holds our reality together. In each potential state, the block generates a separate gravitational field.....," rings with a certain importance when one talks about what happens with the very nature of the blackhole. What happens to that information. Phil Warnell:However, if the second is taken as truth and all is remembering, then what can the force of gravity do to a memory that is not in any, yet of all? I tried to implement a method by which one could "gauge the significance of the emotive experience" as it may pertain to that "primitive part" of our nature. That we could see "remembering" had been assigned a "quantum reductionist state" within the confines of that methodology? "The block," while holding different gravitational defined consciousness states, had to settle to a strong emotive consolidating force from that experience. You repeatedly relive the experience, while current information saids that the memory can change. See Ledoux. What is Happening at the Singularity? It was important to me to understand the differences here, and how I derived the ability of information of entering the location of the Synapse. While I had called it the Thinking Mind in relation to what is at the "tip of the Pyramid," it had to of course, go through a methodology before it could have said that all elements of the intuitive information gathered, was from a "idea of probabilities" that existed, yet, it is from that same location that all memories are stored. The "infinite regress," was an inductive/deductive stance to developmental possibilities without having a mentorship around for consideration, and by developing "adhoc methods" in my search for knowledge, it became apparent any intuitive deduction/induction would had to be in face of all the information available from our experience and senses, as well as, what could exist from that place of "memories stored." While the limitations of a life could had amounted to what is learnt in that life, it did not encompass what was possible from the storing of information from all of our lives. It did not encompass all that is stored in the "collective unconscious." This of course requires a deeper critical analysis for my own understanding and development. Epistemology or theory of knowledge is a branch of philosophy concerned with the nature and scope of knowledge. The term was introduced into English by the Scottish philosopher James Frederick Ferrier (1808-1864). 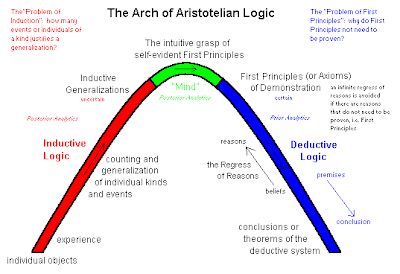 The terms "a priori" and "a posteriori" are used in philosophy to distinguish between deductive and inductive reasoning, respectively. Attempts to define clearly or explain a priori and a posteriori knowledge are part of a central thread in epistemology, the study of knowledge. Since the definitions and usage of the terms have been corrupted over time and therefore vary between fields, it is difficult to provide universal definitions of them. One rough and oversimplified explanation is that a priori knowledge is independent of experience, while a posteriori knowledge is dependent on experience. In other words, statements that are a priori true are tautologies. Innatism is a philosophical doctrine that holds that the mind is born with ideas/knowledge, and that therefore the mind is not a 'blank slate' at birth, as early empiricists such as John Locke claimed. It asserts therefore that not all knowledge is obtained from experience and the senses. Sciama was elected a Fellow of the Royal Society in 1982. He was also an honorary member of the American Academy of Arts and Sciences, the American Philosophical Society and the Academia Lincei of Rome. He served as president of the International Society of General Relativity and Gravitation, 1980-84. In 1959 he married Lidia Dina, a social anthropologist, who survived him, along with their two daughters. It was important that I understood the context of the entry by Phil Warnell. IN a sense having already lived a life, one can say indeed that with what you learnt, you are able to make an assessment of life, and "in retrospective" lived life according to what you had learnt. But it's not always that easy. How was I suppose to know that life would turn out this way? Life's simple moment of question about a whole life can be reduced to say "that in every moment" what shall I have done better? So we had to look at how we had lived, and only then, do we know "now," what we shall do different in the future. So this is the quest you could say about "acquiring knowledge." Left to our own means, we can look at our environment, and one would have to wonder about your interaction with it. Left to your own means, without having the college degree, or the avenues to proceed under mentored tutorship, how is it that you could move yourself to the very "stop off points" for consideration, while you had lived your life, and advanced the knowledge? As one discovers certain aspects of "the character of our heroes," it is not for me to judge their character in this blog piece, for they will be left to their own demise without my participation of condemning them. IN "weighing the heart and the feather," the horrors of our own lives will have been left for us to "project forward," what we wish to correct again in another life. This does not ever diminish the wrongs done, but provides for a chance to move ever closer to that source, by acceptance of the "fate" by our choice of a new certain future? In all the wrongs of that character was there ever a "light that shined in a piece of knowledge" whilst the lives struggled toward a future? Of Koestler’s many books, his powerfully anti-Communist novel Darkness at Noon (1941) is still the most famous, but he wrote one book that focused squarely on the paranormal – The Roots of Coincidence (1972). Here, he attempts to find a basis for paranormal events in coincidence, or more precisely synchronicity, so that there is only one phenomenon to explain rather than many. He proceeds to seek the roots of coincidence in the Alice-in-Wonderland world of quantum physics, the infinitesimally small subatomic realm where our everyday logic no longer holds sway, where particles can be waves and vice versa, where forces that only mathematical equations can glimpse swim in the dark, unfathomable ocean of probability before the manifestation of either matter or mind. Towards the end of the book, Koestler pleads that parapsychology be made “academically respectable and attractive to students”, otherwise the “limitations of our biological equipment may condemn us to the role of Peeping Toms at the keyhole of eternity”. This is the thing that people do not understand and our youth especially. That while one may of liked to have lived like a Garrett Lisi, one would had to have known that life can be lived very simply. So, there is an answering to the needs of the lifestyle one is accustomed, to have allowed oneself to live "freely in your thoughts," to "make room," to advance your knowledge, while taking care of these necessities of life. There's no way around it. There are no freebies that life can be made so easy, that you could surpass all that life holds for your viewing and participation. Too know, that there are many things we had to learn, not just the acquiring of the knowledge, but to had lived that life, and to have lived it to a much "higher standard." One we had entered this life to accomplish. Who is it, for us to say, what that plan was? 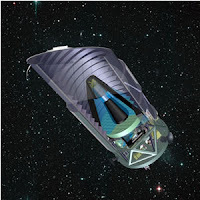 ADEPT promises to provide the galaxy positions needed to follow the historical development of the universe, so that astronomers can determine the role played by the dark energy. Bennett says that the ADEPT mission will help answer many questions about the role played by dark energy in both fundamental physics and cosmology. Jonathan Bagger, chair of the Johns Hopkins physics and astronomy department, agreed. "Twenty-first century physics is at a crossroads," he said. "Our fundamental theories of gravity and quantum mechanics are in conflict. Dark energy might point the way out." 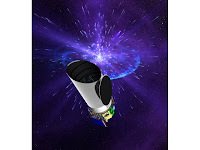 NASA will support the SNAP mission concept for probing dark energy by observing distant Type Ia supernova and studying weak gravitational lensing. SNAP, the SuperNova/Acceleration Probe, is an experiment designed to learn the nature of dark energy by precisely measuring the expansion history of the universe. At present scientists cannot say whether dark energy has a constant value or has changed over time — or even whether dark energy is an illusion, with accelerating expansion being due to a gravitational anomaly instead. "SNAP will investigate dark energy using two independent and powerful techniques," says Saul Perlmutter of Berkeley Lab's Physics Division, a professor of physics at the University of California at Berkeley who is principal investigator of SNAP and leader of the international Supernova Cosmology Project based at Berkeley Lab. "The best proven and most powerful current technique is to determine changes in the expansion rate by comparing the redshift and distance of Type Ia supernovae, but we are also targeting the most promising complementary technique, called 'weak gravitational lensing.'" 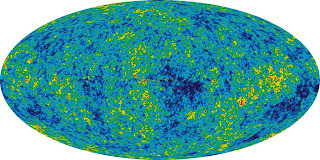 WMAP cosmic microwave fluctuations over the full sky with 5 years of data. WMAP cosmic microwave fluctuations over the full sky with 5-years of data. Colors represent the tiny temperature fluctuations of the remnant glow from the infant universe: red regions are warmer and blue are cooler. "We are living in an extraordinary time," said Gary Hinshaw of NASA's Goddard Space Flight Center in Greenbelt, Md. "Ours is the first generation in human history to make such detailed and far-reaching measurements of our universe." A long time ago I learnt about using avenues to free the mind by doing different things in the face of adversities. One can not always gauge their reaction to what life throws at them. I found this for me most certainly, and in face of the understanding of the "emotive struggle," it is moving "clarity to such thinking" of the thinking mind, that one would like to at least understand what influences these emotive consequences have on their thinking space. 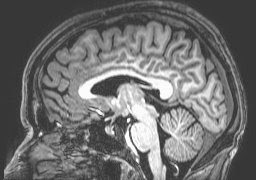 The brain is a matter defined state of existence and is furthest from the source of expression. Yet, it houses avenues within the very nature of it's structure, to allow processes that may be comparative to me of what spaces can be created, as we create an open portal for all thinking minds avenues to new possible changes. 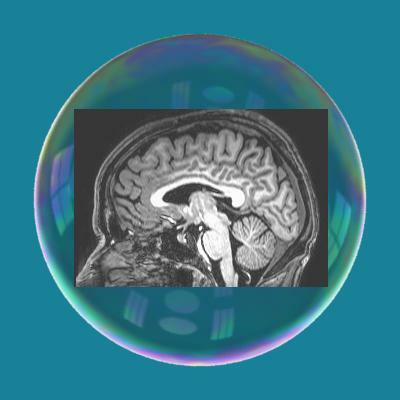 So I of course like to use a bubble in this context to to display the field around that thinking brain/Body to know that the emotive consequences lie within this field of expression. It wasn't enough then that what was apparent to me, that the continued struggle I have of dealing with these emotive fluctuations is in our thinking minds, that the reactive states, were held in a place of a deeper repose while the collection of these things come from a history of living. It was not enough that I knew of a map created by another of psychological stature and lead by scientific valuation, that it would lead to the understanding of Penfield's work on the structure of the brain. So while I had given Stefan of Backreaction "a brief summary of it" there in the following quote below, it is in such a way this unfolds I had developed this understanding of "historical context" and now, work toward the future. This is why I like history, and why I used David Hilbert's quote. It signals "advancements in thinking" as we explore history in not only the context of who we are, but of our predecessor's mathematical development as well. The "gap created for such ingenuities" had to realize a "stop off point" for further developments. So we develop from that point, forward. Often we say things in our own lives not aware of the context and influence our parents have on us, yet, such concepts themself are transmitted and unknowingly we become the parent of our raising. To change the cyclical nature of such events, and move to our own adult situations requires a deeper insight into who we are, that we might change the circumstance and reveal who it is, is talking, when acting in this role of our day to day. That you may not have children now is not the issue and any young person might know then that we are also our parent, as well as, the child of that experience. It is how we shall choose as an adult to address society, each other, in these ways, that we change the future. A lot of time if you are not aware of the internal structure this information is transmitted how would you know that it follows "another's mindmap" and you were not aware of it? So as glossy as this sounds "my writing" about our individual histories, we now know that we transmit part of our histories into the future. The process of analysis's personality in terms of ego states is called structural analysis. It is important to remember that ego states do not have an existence of their own, they are concepts to enable understanding. Therefore it is important to say "I want some fun" rather than "My Child wants some fun". We may be in our Child ego state when we say this, but saying "I" reminds us to take responsibility for our actions. 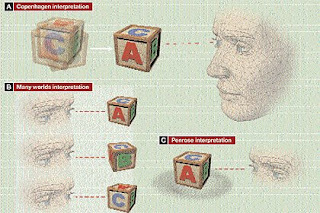 Transactional Analysis theory was developed by Dr Eric Berne in the 1950's. How is it that time could have been a emergent process knowing full well that the measure, and the continued "half measure" we loose perspective on that space. So given the nature of the blackhole, how is it we see such smoothness geometrically developing, as the temperature values increase, according to the nature of the gravitational collapse? An energy valuation according to this radius allows one to think that "somewhere in this creation" the relativistic nature of the fluidity is taken to a point of that "emergent process." One had to account for the developing nature of the dark energy. If time is an emergent entity, rather then fundamental, then is perplexing why the universe had a beginning. For if time is both infinite and eternal and the universe is neither, it might be of reason to be limited in magnitude and yet why the wait? This also must form to be part of the explanation. 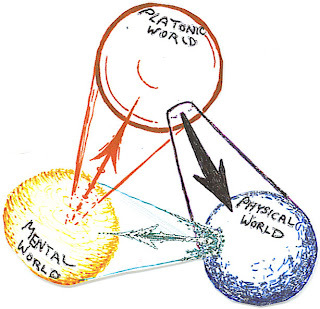 Before a time classified as a Planck time, 10-43 seconds, all of the four fundamental forces are presumed to have been unified into one force. All matter, energy, space and time are presumed to have exploded outward from the original singularity. Nothing is known of this period. The Foundations of Mathematics, Invented or Discovered? While insisting on rigor in the proof as a requirement for a perfect solution of a problem, I should like, on the other hand, to oppose the opinion that only the concepts of analysis, or even those of arithmetic alone, are susceptible of a fully rigorous treatment. This opinion, occasionally advocated by eminent men, I consider entirely erroneous. Such a one-sided interpretation of the requirement of rigor would soon lead to the ignoring of all concepts arising from geometry, mechanics and physics, to a stoppage of the flow of new material from the outside world, and finally, indeed, as a last consequence, to the rejection of the ideas of the continuum and of the irrational number. But what an important nerve, vital to mathematical science, would be cut by the extirpation of geometry and mathematical physics! 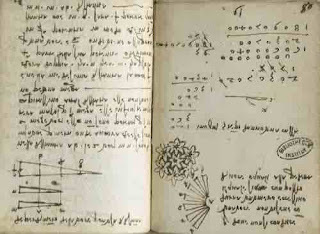 On the contrary I think that wherever, from the side of the theory of knowledge or in geometry, or from the theories of natural or physical science, mathematical ideas come up, the problem arises for mathematical science to investigate the principles underlying these ideas and so to establish them upon a simple and complete system of axioms, that the exactness of the new ideas and their applicability to deduction shall be in no respect inferior to those of the old arithmetical concepts. So current understanding has been pushed to consider that there is no geometry which can be seen inside the blackhole? If this is not possible, then the very nature of the geometry is existing at "another level" has to be part of an "emergent process" before it manifests from it's previous state? So what is that previous state that this universe came from? This universe then, is part and parcel of an "existing universe." While you may consider time as eternal, then what would allow for such a space to emergent within that universe to create a new beginning and another offshoot of it? Glaucon (Greek: Γλαύκων) (born circa 445 BC) son of Ariston, was the philosopher Plato's older brother. He is primarily known as a major conversant with Socrates in the Republic (Plato), and the questioner during the Allegory of the Cave. He is also referenced briefly in the beginnings of the dialogues of Plato Parmenides (Plato) and the Symposium (Plato). While I of course understood this conversation between Plato and Glaucon, there is a statement of reference that needs to be explained. So that it is not misunderstood that "the object" and "state of the one who questions and the one questioned," are shown to be like "God as the Geometer?" It is an "innate feature to the state of enquiry." That it follows alongside mapping, which advanced my own position of "methodology by intuition." An accumulated to a state called"Correlation of Cognition." So I am glad there is a Glaucon who would move the conversation for advancement. As Socratic method requires both a questioner and one questioned to move forward, Glaucon, who is the most honest about his ignorance amongst the friends, will help “build” the ideal philosophical city by engaging Socrates without fighting his ideas. "Deduction" is an interesting thing left on it's own. While we think it only as one avenue to the methodology of approach, it is not without pointing out that the "inductive part" is part of this philosophical adventure too. That it should leave one to understand that the "infinite regression" leaves one on a precipice of change. That what is self evident, becomes the "new stepping stone for advancement." Where a dictionary proceeds in a circular manner, defining a word by reference to another, the basic concepts of mathematics are infinitely closer to an indecomposable element", a kind of elementary particle" of thought with a minimal amount of ambiguity in their definition. The navel is naturally placed in the centre of the human body, and, if in a man lying with his face upward, and his hands and feet extended, from his navel as the centre, a circle be described, it will touch his fingers and toes. It is not alone by a circle, that the human body is thus circumscribed, as may be seen by placing it within a square. 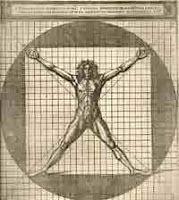 For measuring from the feet to the crown of the head, and then across the arms fully extended, we find the latter measure equal to the former; so that lines at right angles to each other, enclosing the figure, will form a square. The first printed edition of the De Architectura (On Architecture) by the ancient Roman architect, Vitruvius, appears. It is never easy sometimes to know what direction to go with these blog posts. What is being shown on the "screen of my mind" is a painting of Leonardo, and along with this idea about Coxeter's insight into what the geometer is really doing when he discovers aspects of what exists before it's manifestation in reality. As if, it is not enough to know what the Higg's is doing as it crosses the room in analogy with the great Professor Einstein. Science takes us back to the very beginnings of the universe and how it is we know that such phases and transformational changes can be described, and behind it all, there is not some existing geometrical nature to the forms that manifest? So from an historical perspective, the image set the pace for what discoveries become part of the blog entry. Who is to know what direction this may take me as I scour the internet and find the following. According to Leonardo, the musician composes harmony by the simultaneous conjunction of its “proportional parts”. The painter “grades the things before the eye as music grades the sounds that meet the ear”. On Ms. L. Fol 79v. Leonardo investigates sound and tries to establish strict mathematical proportions between the loudness of a sound at its origin and its range, the point in space up to which it can be heard. This “pyramidal law” was seen as a universal law of proportion that could be applied to other natural phenomena such as light, perspective and even mechanics. 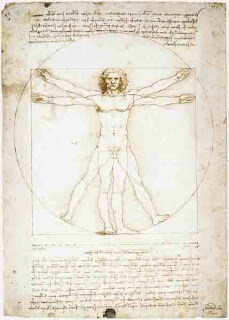 Leonardo’s pyramidal law of proportional diminution did not always lead to fruitful conclusions. In the absence of knowledge of advanced mechanics, he attempted to apply it to the investigation of gravity, noting that every falling object acquires increments of impetus. He was obviously unaware of the Merton “mean speed theorem” which states that a body traveling at constant velocity will cover the same distance in the same time as an accelerated body if its velocity is half the final speed of the accelerated body. Undeterred, Leonardo investigated the actions of levers, pulleys and balances at length according to medieval proportional laws, illustrating endless demonstrations of harmonic equilibrium. While most of the results had no practical purpose, Leonardo seems to have taken delight in demonstrating the certainty of proportional law for its own sake. 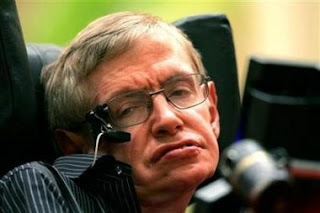 Perhaps it confirmed his view of the inter-connectedness of all things in nature, which he so often disproved in the course of testing theory with experiment. See Divine proportions as well. 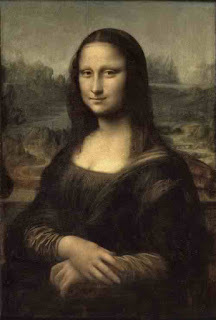 Photo RM -Hervé Lewandowski / Thierry Le Mage- Make Mona Smile here. As you know I am using a comparative view of emotions which are much more subtle then the matter to which we assign our body. Earth is square. Plato points to heaven for a reason, and all things descend according to those things we assign emotive value which return to the matters defined. Alas, the human experience is emotive determined and our lives set in the direction we send it. All matters of due course, are heralded from a much finer level of thought. As many of you know I am not the great scientist that so many I follow are. Who have spent their times in the higher halls of learning. It is no less important to me that I work to the same vein of truth that they do in their pursuances for understanding and implementation of science under it's laws. So too I work an area that would have been the decline of our scientist's credibility. The scientists who have suffered under the scorn of their own colleagues because of this divergence from what is known and understood. I do not have to worry, because I already work the lower echelon of the thoughts and feeling about those scorned. My immaturity perhaps and wonderment as to what purpose this lone blogger attempts, and I could be past off as some kook. I persevere, as we all do to understand life, reality and it's truths. 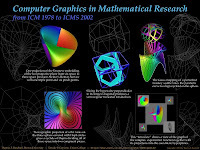 Going from 2 dimensional drawing to 3 dimensions has spherical relations in terms of it's mathematical development? While I present a hint to the "explosion of the thinking mind," how is it such a transference to the actual processes in life could have equalled a "mathematical construct" that one might contend exists at the very beginning of this universe? 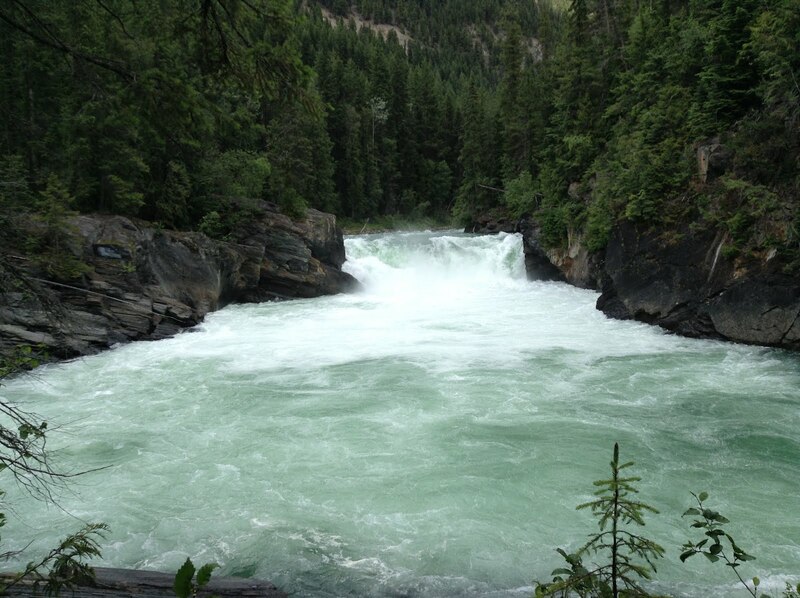 The term "Medicine" as it is used by First Nations people does not refer to drugs or herbal remedies. It is used within the context of inner spiritual energy and healing or an enlightened experience, in other words, "spiritual energy." The Medicine Wheel and its sacred teachings assist us along the path towards mental, spiritual, emotional, physical balance and enlightenment. A good starting point is to determine where you are on the Wheel by your birth date. The Medicine Wheel is walked in a clockwise direction (the direction of the Sun). The time needed to walk a complete circle is whatever time it takes - time, in other words, is relative to the process. Now of course some feel very funny about using such things to represent something about themselves. Develop a map, that indicates some of one's own history according to someone's else method. What I mean here is that what you see of use in a historical method as per the Native Americans, then how would this apply to your own life? I present this "from my own experience." How such ideas behind the mapping and mandalic interpretations are evidence for me of the complexity of the human mind. How is it we can create such a maps from the experience? One that can unfold for and from another more subtle recognition of the depth our natures. I believe that this process is inherent in each of us. The complexity of our human experiential existence makes this difficult to see. It is as if you "live a dream" and what does it mean at some other level? So you are confused about the chaoticness of the dream state? A Tibetan interpretation of the Book of the dead would have it seem that confusion shall be the fog, our fog and any clarity of seeing would be to know what it is that causes this fog. Is it our emotive states of existence? Our emotive contaminants of the mental and spiritual state? What colour would these be if we had thought about what an emotive inflection had been given to an experiences of our own, as we speak and think about life? So this journey of course took me back to Tibetan images, as well as Jung's interpretations of mandalas as expressions of the soul. The construction method and meanings associated with geometrical proportions to the division of the person. In terms of directions, north, south, east or west. These can have meanings to the idea of "seasons to our life" and this is, what going in a circle may mean in terms of the "totality of the life" of one person, from birth to death. Does any of this seems familiar to you as it did to me. My natural inclination to mind mapping my experiences and developments of a philosophy according to what was being constructed, just arose from developing a "methodology to approach" intuitively. The center and the whole-what it means? Wonderful and creative thinking to what remains a mystery to a lot of people who do not ever get to see what cancer looks like or what it can do to one's family. This physical process, and the creative representation is a very interesting one to me. We are told that "mathematics is that study which knows nothing of observation..." I think no statement could have been more opposite to the undoubted facts of the case; that mathematical analysis is constantly invoking the aid of new principles, new ideas and new methods, not capable of being defined by any form of words, but springing direct from the inherent powers and activity of the human mind, and from continually renewed introspection of that inner world of thought of which the phenomena are as varied and require as close attention to discern as those of the outer physical world, ...that it is unceasingly calling forth the faculties of observation and comparison, that one of its principal weapons is induction, that it has frequent recourse to experimental trial and verification, and that it affords a boundless scope for the exercise of the highest efforts of imagination and invention. ...Were it not unbecoming to dilate on one's personal experience, I could tell a story of almost romantic interest about my own latest researches in a field where Geometry, Algebra, and the Theory of Numbers melt in a surprising manner into one another. I am interested in determining how one can detect a blackhole. So the following post is in latex language that can be copied and those who have latex can place for examination. Clifford's spam checker(just recently checked and see that it was posted.) will not allow me to complete the rest of the comment entry so I will just put it here and go to bed. I tried putting in his latex sandbox(this now worked as well), but to no avail either. Text book or not, it gives a clearer picture of what a "strong gravitational space" does to the photon. Since it is reduced in frequency, this is called the gravitational red shift or the Einstein red shift. You can delete from your tipping light thread. Have a nice day. I acknowledge fully I am the student. While we see tipping light cones there is an actual qualitative understanding for the determination of the blackhole in this context? By your definition you were right to let me know, how you are presenting this for better consumption and how I might be interfering with that process. So my apology (my bad). Previously, I left a comment in relation to Susskind's thought experiment about the elephant and Bob on the back of the elephant B moving toward the horizon of the blackhole. My thoughts were about the "entanglement process" and how Alice on the back of elephant A would reveal aspects of the nature of the blackhole as elephant B move closer to that horizon. This point, while understanding the representation of CFT in this regard, I thought it quite humorous that Susskind did in fact use the elephant as a representative thinking in relation to Quantum gravity? I do not know if people picked up on this?